Northwest of Bend on the beautiful Metolius River is a scenic area known as Wizard Falls - a popular destination for hiking and fly fishing. Wizard Falls is a scenic stretch of gentle rapids on the Metolius River. Visit the nearby Wizard Falls Fish Hatchery, where over 2.6 million trout and salmon are raised each year. Fly fishing and hiking are popular activities near Wizard Falls. Just over 40 miles northwest of Bend in the beautiful Deschutes National Forest. Although not exactly a large, cascading waterfall, Wizard Falls is a scenic stretch of gentle rapids on the beautiful Metolius River . Not far from Bend, the often photographed falls are located just west of Sisters. The Wizard Falls fish hatchery, with its outdoor fish ponds and rustic buildings, is well known for raising kokanee and Atlantic salmon, as well as rainbow and brook trout. Hiking is especially popular near Wizard Falls, especially in the fall when the leaves of vine maples add vivid splashes of color to the Deschutes National Forest. Wizard Falls is located approximately 43 miles northwest of Bend, via Hwy 20 to Camp Sherman. From Camp Sherman, partially unpaved forest service roads lead to the falls and fish hatchery. Deschutes National Forest, 1001 SW Emkay Drive, Bend, OR, 97702. Phone: 541-383-5300. Hiking – The Wizard Falls Loop Hike is a 6 mile hike of moderate difficulty. 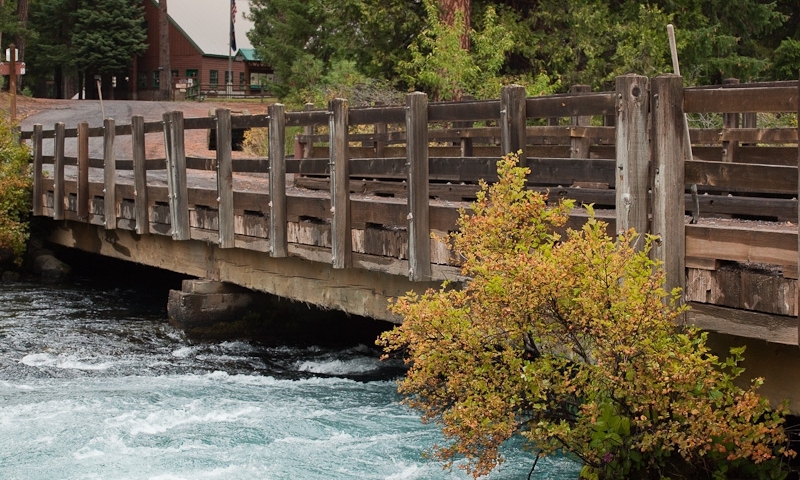 The trail offers beautiful views of the Metolius River. There is also an easy trail near the fish hatchery for non-technical hikers. Be sure to bring your camera for beautiful nature photos. Fishing – Avid anglers from all over come to the Metolius River to fly fish for trout and salmon while enjoying the spectacular scenery of Central Oregon. Each year the Wizard Falls Fish Hatchery raises over 2.6 million fish. the hatchery has a tank that contains two-headed fish. Visitors are welcome to stop by. The fish hatchery is operated by the Oregon Fish and Wildlife Department. The Metolius River is only 28 miles long and ultimately flows into the Deschutes River via Lake Billy Chinook.